, making it easy to share verified ownership of a site with another person. This week, we bring you another new way to verify. Verification by DNS record allows you to become a verified owner of an entire domain (and all of the sites within that domain) at once. It also provides an alternative way to verify for folks who struggle with the existing HTML file or meta tag methods. I like to explain things by walking through an example, so let's try using the new verification method right now. For the sake of this example, we'll say I own the domain example.com. I have several websites under example.com, including http://www.example.com/, http://blog.example.com/ and http://beta.example.com/. I could individually verify ownership of each of those sites using the meta tag or HTML file method. But that means I'd need to go through the verification process three times, and if I wanted to add http://customers.example.com/, I'd need to do it a fourth time. DNS record verification gives me a better way! First I'll add example.com to my account, either in Webmaster Tools or directly on the Verification Home page. On the verification page, I select the "Add a DNS record" verification method, and follow the instructions to add the specified TXT record to my domain's DNS configuration. When I click "Verify," Google will check for the TXT record, and if it's present, I'll be a verified owner of example.com and any associated websites and subdomains. Now I can use any of those sites in Webmaster Tools and other verification-enabled Google products without having to verify ownership of them individually. If you try DNS record verification and it doesn't work right away, don't despair! Sometimes DNS records take a while to make their way across the Internet, so Google may not see them immediately. Make sure you've added the record exactly as it’s shown on the verification page. We'll periodically check, and when we find the record we'll make you a verified owner without any further action from you. DNS record verification isn't for everyone—if you don't understand DNS configuration, we recommend you continue to use the HTML file and meta tag methods. But for advanced users, this is a powerful new option for verifying ownership of your sites. As always, please visit the Webmaster Help Forum if you have any questions. A few weeks ago, we introduced a new way of verifying site ownership, making it easy to share verified ownership of a site with another person. This week, we bring you another new way to verify. Verification by DNS record allows you to become a verified owner of an entire domain (and all of the sites within that domain) at once. It also provides an alternative way to verify for folks who struggle with the existing HTML file or meta tag methods. We've got a series of blog posts lined up for you explaining how to successfully remove various types of content, and common mistakes to avoid. In this first post, I'm going to cover a few basic scenarios: removing a single URL, removing an entire directory or site, and reincluding removed content. I also strongly recommend our previous post on managing what information is available about you online. noindex meta tag: You can use Fetch as Googlebot to make sure the meta tag appears somewhere between the <head> and </head> tags. If you want to check a page you can't verify in Webmaster Tools, you can open the URL in a browser, go to View > Page source, and make sure you see the meta tag between the <head> and </head> tags. This article has more details about making sure you're entering the proper URL. Remember that if you don't tell us the exact URL that's troubling you, we won't be able to remove the content you had in mind. It isn't enough for the root of the directory to return a 404 status code, because it's possible for a directory to return a 404 but still serve out files underneath it. Using robots.txt to block a directory (or an entire site) ensures that all the URLs under that directory (or site) are blocked as well. You can test whether a directory has been blocked correctly using either the Fetch as Googlebot or Test robots.txt features in Webmaster Tools. 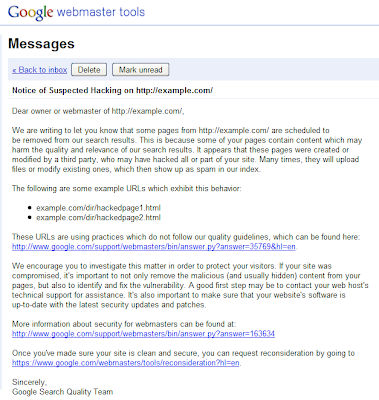 Only verified owners of a site can request removal of an entire site or directory in Webmaster Tools. To request removal of a directory or site, click on the site in question, then go to Site configuration > Crawler access > Remove URL. If you enter the root of your site as the URL you want to remove, you'll be asked to confirm that you want to remove the entire site. If you enter a subdirectory, select the "Remove directory" option from the drop-down menu. You can cancel removal requests for any site you own at any time, including those submitted by other people. In order to do so, you must be a verified owner of this site in Webmaster Tools. Once you've verified ownership, you can go to Site configuration > Crawler access > Remove URL > Removed URLs (or > Made by others) and click "Cancel" next to any requests you wish to cancel. Still have questions? Stay tuned for the rest of our series on removing content from Google's search results. If you can't wait, much has already been written about URL removals, and troubleshooting individual cases, in our Help Forum. If you still have questions after reading others' experiences, feel free to ask. Note that, in most cases, it's hard to give relevant advice about a particular removal without knowing the site or URL in question. We recommend sharing your URL by using a URL shortening service so that the URL you're concerned about doesn't get indexed as part of your post; some shortening services will even let you disable the shortcut later on, once your question has been resolved. There's a lot of content on the Internet these days. At some point, something may turn up online that you would rather not have out there—anything from an inflammatory blog post you regret publishing, to confidential data that accidentally got exposed. In most cases, deleting or restricting access to this content will cause it to naturally drop out of search results after a while. However, if you urgently need to remove unwanted content that has gotten indexed by Google and you can't wait for it to naturally disappear, you can use our URL removal tool to expedite the removal of content from our search results as long as it meets certain criteria (which we'll discuss below). Will the Real <Your Site Here> Please Stand Up? In our recent post on the Google Online Security Blog, we described our system for identifying phishing pages. Of the millions of webpages that our scanners analyze for phishing, we successfully identify 9 out of 10 phishing pages. Our classification system only incorrectly flags a non-phishing site as a phishing site about 1 in 10,000 times, which is significantly better than similar systems. In our experience, these “false positive” sites are usually built to distribute spam or may be involved with other suspicious activity. If you find that your site has been added to our phishing page list (”Reported Web Forgery!”) by mistake, please report the error to us. On the other hand, if your site has been added to our malware list (”This site may harm your computer”), you should follow the instructions here. Our team tries to address all complaints within one day, and we usually respond within a few hours. Unfortunately, sometimes when we try to follow up on your reports, we find that we are just as confused as our automated system. If you run a website, here are some simple guidelines that will allow us to quickly fix any mistakes and help keep your site off our phishing page list in the first place. - Don’t ask for usernames and passwords that do not belong to your site. We consider this behavior phishing by definition, so don’t do it! If you want to provide an add-on service to another site, consider using a public API or OAuth instead. - Avoid displaying logos that are not yours near login fields. Someone surfing the web might mistakenly believe that the logo represents your website, and they might be misled into entering personal information into your site that they intended for the other site. Furthermore, we can’t always be sure that you aren’t doing this intentionally, so we might block your site just to be safe. To prevent misunderstandings, we recommend exercising caution when displaying these logos. - Don’t send strange links via email or IM. It’s all but impossible for us to verify unusual links that only appeared in your emails or instant messages. Worse, using these kinds of links conditions your users/customers/friends to click on strange links they receive through email or IM, which can put them at risk for other Internet crimes besides phishing. While we hope you consider these recommendations to be common sense, we’ve seen major e-commerce and financial companies break these guidelines from time to time. Following them will not only improve your experience with our anti-phishing systems, but will also help provide your visitors with a better online experience. If your blog on Latin American soccer aims to reach the Brazilian audience, you may choose to publish it only in Portuguese. But if you’d like to reach soccer fans from Argentina also, then providing content in Spanish could help you with that. Google tries to determine the main languages of each one of your pages. You can help to make language recognition easier if you stick to only one language per page and avoid side-by-side translations. Although Google can recognize a page as being in more than one language, we recommend using the same language for all elements of a page: headers, sidebars, menus, etc. Keep in mind that Google ignores all code-level language information, from “lang” attributes to Document Type Definitions (DTD). Some web editing programs create these attributes automatically, and therefore they aren’t very reliable when trying to determine the language of a webpage. Someone who comes to Google and does a search in their language expects to find localized search results, and this is where you, as a webmaster, come in: if you’re going to localize, make it visible in the search results with some of our tips below. Additionally, this URL structure will make it easier for you to analyze the indexing of your multilingual content. We recommend that you do not allow automated translations to get indexed. Automated translations don’t always make sense and they could potentially be viewed as spam. More importantly, the point of making a multilingual website is to reach a larger audience by providing valuable content in several languages. If your users can’t understand an automated translation or if it feels artificial to them, you should ask yourself whether you really want to present this kind of content to them. If you’re going to localize, make it easy for Googlebot to crawl all language versions of your site. Consider cross-linking page by page. In other words, you can provide links between pages with the same content in different languages. This can also be very helpful to your users. Following our previous example, let’s suppose that a French speaker happens to land on http://example.ca/en/mountain-bikes.html; now, with one click he can get to http://example.ca/fr/vélo-de-montagne.html where he can view the same content in French. To make all of your site's content more crawlable, avoid automatic redirections based on the user's perceived language. These redirections could prevent users (and search engines) from viewing all the versions of your site. Google directly extracts character encodings from HTTP headers, HTML page headers, and content. There isn’t much you need to do about character encoding, other than watching out for conflicting information - for example, between content and headers. While Google can recognize different character encodings, we recommend that you use UTF-8 on your website whenever possible. Now that you know all of this, your tongue may get twisted when you speak many languages, but your website doesn’t have to! For more information, read our post on multi-regional sites and stay tuned for our next post, where we'll delve into special situations that may arise when working with global websites. Until then, don't hesitate to drop by the Help Forum and join the discussion! Usually, it makes sense to have a multilingual website when your target audience consists of speakers of different languages. If your blog on Latin American soccer aims to reach the Brazilian audience, you may choose to publish it only in Portuguese. But if you’d like to reach soccer fans from Argentina also, then providing content in Spanish could help you with that. Depending on the topic of your site and expectations of the target group, you might consider actually using these keywords in a positive way, e.g. explaining their meaning and showing your users you're an authority on the subject. However if the words are plain abusive and completely inappropriate for your website, it's rather questionable whether the traffic resulting from these search queries is interesting for your website anyway. Would you advise to use the rewrite URL function? Some users may like seeing descriptive URLs in the search results. However, it's quite hard to correctly create and maintain rewrites that change dynamic URLs to static-looking URLs. That's why, generally speaking, we don't recommend rewriting them. If you still want to give it a try, please be sure to remove unnecessary parameters while maintaining a dynamic-looking URL and have a close look at our blog post on this topic. And if you don't, keep in mind that we might still make your URLs look readable in our search results no matter how weird they actually are. If I used the geo-targeting tool for Ireland, is Northern Ireland included? Google Webmaster Tools geo-targeting works on a country basis, which means that Northern Ireland would not be targeted if the setting was Republic of Ireland. One possible solution is to create a separate site or part of a website for Northern Ireland and to geo-target this site to the United Kingdom in Webmaster Tools. Is there any preference between TLDs like .com and .info in ranking? No, there is none. Our focus is on the content of the site. I have a website on a dot SO (.so) domain name with content meant for the Republic of Ireland. Will this hurt my rankings in the Irish search results? .so is the Internet country code top-level domain for Somalia. This is one factor we look into not pointing to the desired destination. But we do look at a larger number of factors when ranking your website. The extension of the domain name is just one of these. Your website can still rank in the Irish search results if you have topic-specific content. However, keep in mind that it may take our algorithms a little bit longer to fully understand where to best serve your website in our search results. We would like to thank all participants for their time and effort. It was a pleasure to help you and we hope that it was beneficial for you, too. For any remaining questions, please don't hesitate to join the community on our GWHF. Members of the Google Search Quality Team have participated in site clinic panels on a number of occasions. We receive a lot of positive feedback from these events and we've been thinking of ways to expand our efforts to reach even more webmasters. We decided to organize a small, free of charge pilot site clinic at Google in Dublin, and opened the invitation to webmasters from the neighborhood. The response we received was overwhelming and exceeded our expectations. 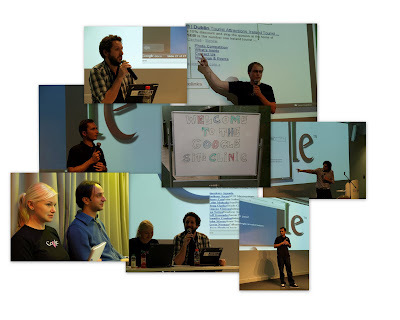 Meet the Googlers who hosted the site clinic: Anu Ilomäki, Alfredo Pulvirenti, Adel Saoud, Fili Wiese, Kaspar Szymanski and Uli Lutz. It was fantastic to see the large turnout and we would like to share the slides presented as well as the takeaways. I have 3 blogs with the same content, is that a problem? If the content is identical, it's likely only one of the blogs will rank for it. Also, with this scattered of an effortwith this scattered of an effort chances are your incoming links will be distributed across the different blogs, instead of pointing to one source. Therefore you're running the risk of both users and search engines not knowing which of your blogs is the definitive source. You can mitigate that by redirecting to the preferred version or using the cross domain canonical to point to one source. Should I believe SEO agencies that promise to make my site rank first in Google in a few months and with a precise number of links? No one can make that promise; therefore the short answer is no, you should not. However, we have some great tips on how to find a trustworthy SEO in our Help Center. There are keywords that are relevant for my website, but they're inappropriate to be shown in the content e.g. because they could be misunderstood, slang or offensive. How can I show the relevance to Google? Expanding a website to cover multiple regions and/or languages can be challenging. By creating multiple versions of your website, any issues with the base version will be multiplied; make sure that you have everything working properly before you start. Given that this generally means you'll suddenly be working with a multiplied number of URLs, don't forget that you'll need appropriate infrastructure to support the website. When planning sites for multiple regions (usually countries), don't forget to research legal or administrative requirements that might come into play first. These requirements may determine how you proceed, for instance whether or not you would be eligible to use a country-specific domain name. ccTLDs (country-code top level domain names): These are tied to a specific country (for example .de for Germany, .cn for China). Users and search engines use this as a strong sign that your website is explicitly for a certain country. gTLDs (generic top level domain names): These are not tied to a specific country. Examples of gTLds are .com, .net, .org, .museum. Google sees regional top level domain names such as .eu and .asia as gTLDs, since they cannot be tied to a specific country. We also treat some vanity ccTLDs (such as .tv, .me, etc.) as gTLDs as we've found that users and webmasters frequently see these as being more generic than country-targeted (we don't have a complete list of such vanity ccTLDs that we treat as gTLDs as it may change over time). You can set geotargeting for websites with gTLDs using the Webmaster Tools Geographic Target setting. Use of a ccTLD is generally a strong signal for users since it explicitly specifies a single country in an unmistakable way. Webmaster Tools' manual geotargeting for gTLDs (this can be on a domain, subdomain or subdirectory level); more information on this can be found in our blog post and in the Help Center. With region tags from geotargeting being shown in search results, this method is also very clear to users. Please keep in mind that it generally does not make sense to set a geographic target if the same pages on your site target more than a single country (say, all German-speaking countries) — just write in that language and do not use the geotargeting setting (more on writing in other languages will follow soon!). Server location (through the IP address of the server) is frequently near your users. However, some websites use distributed content delivery networks (CDNs) or are hosted in a country with better webserver infrastructure, so we try not to rely on the server location alone. Other signals can give us hints. This could be from local addresses & phone numbers on the pages, use of local language and currency, links from other local sites, and/or the use of Google's Local Business Center (where available). Note that we do not use locational meta tags (like "geo.position" or "distribution") or HTML attributes for geotargeting. While these may be useful in other regards, we've found that they are generally not reliable enough to use for geotargeting. As you can see, geotargeting is not an exact science (even sites using country-code top level domain names can be global in nature), so it's important that you plan for the users from the "wrong" location. One way to do this could be to show links on all pages for users to select their region and language of choice. We'll look at some other possible solutions further on in this blog post series. Websites that provide content for different regions and in different languages sometimes create content that is the same or similar but available on different URLs. This is generally not a problem as long as the content is for different users in different countries. While we strongly recommend that you provide unique content for each different group of users, we understand that this may not always be possible for all pages and variations from the start. There is generally no need to "hide" the duplicates by disallowing crawling in a robots.txt file or by using a "noindex" robots meta tag. However, if you're providing the same content to the same users on different URLs (for instance, if both "example.de/" and "example.com/de/" show German language content for users in Germany), it would make sense to choose a preferred version and to redirect (or use the "rel=canonical" link element) appropriately. Do you already have a website that targets multiple regions or do you have questions about the process of planning one? Come to the Help Forum and join the discussion. In following posts, we'll take a look at multi-lingual websites and then look at some special situations that can arise with global websites. Bis bald! Did you know that a majority of users surveyed feel that having information in their own language was more important than a low price? Living in a non-English-speaking country, I've seen friends and family members explicitly look for and use local and localized websites—properly localized sites definitely have an advantage with users. Google works hard to show users the best possible search results. Many times those are going to be pages that are localized, for the user's location and/or in the user's language. If you're planning to take the time to create and maintain a localized version of your website, making it easy to recognize and find is a logical part of that process. In this blog post series, we'll take a look at what is involved with multi-regional and multi-lingual websites from a search engine point of view. A multi-regional website is one that explicitly targets users in various regions (generally different countries); we call it multilingual when it is available in multiple languages, and sometimes, the website targets both multiple regions and is in multiple languages. Let's start with some general preparations and then look at websites that target multiple regions. , a new markup standard for specifying structured information within web pages. Today, we’re happy to announce support for microdata for use in rich snippets in addition to our existing support for microformats and RDFa. By using microdata markup in your web pages, you can specify reviews, people profiles, or events information on your web pages that Google may use to improve the presentation of your pages in Google search results. Microdata has the nice property of balancing richness with simplicity. As you can see, it’s easy to add markup to your pages using a few HTML attributes like itemscope (to define a new item), itemtype (to specify the type of item being described), and itemprop (to specify a property of that item). Once you’ve added markup to a page, you can test it using the rich snippets testing tool to make sure that Google can parse the data on your page. As with microformats and RDFa, the vocabulary that we support -- including which item types and item properties are understood by Google -- is specified in our rich snippets documentation as well as on data-vocabulary.org. Marking up your content does not guarantee that rich snippets will show for your site; Google will expand the use of microdata markup gradually to ensure a great user experience. HTML5 is the fifth major revision of HTML, the core language of the World Wide Web. The HTML5 specification includes a description of microdata, a new markup standard for specifying structured information within web pages. Fetch as Googlebot Mobile and Claim your Sidewiki comment - added to Webmaster Tools Labs! and it has been a huge success. Malware Details have helped thousands of users identify pages on their site that may be infected with malicious code, and Fetch as Googlebot has given users more insight into our crawler. After we launched Fetch as Googlebot, many users with mobile-specific sites asked if we could provide the ability to fetch their pages as Googlebot-Mobile. We thought it was a great idea, and added it as an option to our Fetch as Googlebot feature. We have two mobile options: cHTML (primarily used for Japanese sites), and XHTML/WML. 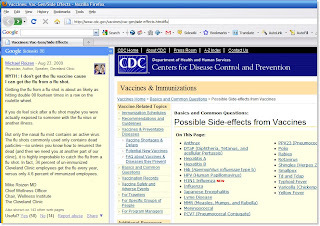 Sidewiki allows users to contribute helpful information to any webpage using a sidebar in Google Toolbar or a Chrome extension. Webmasters can create a special entry, called a page owner entry, that appears above all entries written by users. After Sidewiki launched webmasters kept asking, "How can I put a Sidewiki page owner entry on all pages of my site quickly?" With the feature that we're introducing today, you can now create these page owner entries directly within Webmaster Tools for any site you own. We're really happy about these new features, and hope you enjoy them as much as we do. Let us know what you think! Last October, we launched Webmaster Tools Labs and it has been a huge success. Malware Details have helped thousands of users identify pages on their site that may be infected with malicious code, and Fetch as Googlebot has given users more insight into our crawler. or the Verification home page). That page will show you information about the site as well as a list of any other verified owners. At the bottom of the list of owners, you'll now see a button labeled "Add a user...". Click that, enter the user's email address, and that person will instantly become a verified owner for the site! You can remove that ownership at any time by clicking the "Unverify" link next to the person's email address on the Details page. There are a few important things to keep in mind as you use this feature. First, each site must always have at least one owner who has verified directly (via meta tag or HTML file). If all of the directly verified owners become unverified, the delegated owners may also become unverified. Second, you can only delegate ownership to people with Google Accounts. Finally, remember that anyone you delegate ownership to will have exactly the same access you have. They can delegate to more people, submit URL Removal requests and manage Sitelinks in Webmaster Tools, etc. Only delegate ownership to people you trust! We hope this makes things a little easier for those of you who need more than one person to be a verified owner of your site. As always, please visit the Webmaster Help Forum if you have any questions. Everything is more fun with a friend! We've just added a feature to Webmaster Tools Site Verification to make it easier to share verified ownership of your websites. In the past, if more than one person needed to be a verified owner of a website, they each had to go through the meta tag or HTML file verification process. That works fine for some situations, but for others it can be challenging. For example, what if you have twenty people who need to be verified owners of your site? Adding twenty meta tags or HTML files could be pretty time consuming. Our new verification delegation feature makes adding new verified owners a snap. Once you're a verified owner of a website, you can view the Verification Details page (linked from Webmaster Tools or the Verification home page). That page will show you information about the site as well as a list of any other verified owners. At the bottom of the list of owners, you'll now see a button labeled "Add a user...". Click that, enter the user's email address, and that person will instantly become a verified owner for the site! You can remove that ownership at any time by clicking the "Unverify" link next to the person's email address on the Details page.
. And if you'd like to do your own SEO tune up, a good place to start is by reading our free SEO Beginner's Guide. How many of Google's web pages use a descriptive title tag? Do we use description meta tags? Heading tags? While we always try to focus on the user, could our products use an SEO tune up? These are just some of the questions we set out to answer with Google's SEO Report Card. Google's SEO Report Card is an effort to provide Google's product teams with ideas on how they can improve their products' pages using simple and accepted optimizations. These optimizations are intended to not only help search engines understand the content of our pages better, but also to improve our users' experience when visiting our sites. Simple steps such as fixing 404s and broken links, simplifying URL choice, and providing easier-to-understand titles and snippets for our pages can benefit both users and search engines. From the start of the project we also wanted to release the report card publicly so other companies and webmasters could learn from the report, which is filled with dozens of examples taken straight from our products' pages. The project looked at the main pages of 100 different Google products, measuring them across a dozen common optimization categories. Future iterations of the project might look at deeper Google product web pages as well as international ones. We released the report card within Google last month and since then a good number of teams have taken action on it or plan to. We hope you find our SEO Report Card useful and we'd love to hear your feedback in the comments below or in the Webmaster Central Help Forum. And if you'd like to do your own SEO tune up, a good place to start is by reading our free SEO Beginner's Guide. As we crawl the web, we see bad content inserted on to thousands of hacked sites each day. The number of sites attacked is staggering and the problem is only getting worse. Hackers and spammers target and successfully compromise any sites they can - small personal sites, schools and universities, even multinational corporations. Spam attacks against forums and user content sections of sites, though not as shocking, are even more widespread. You may have read in an earlier post that we've begun notifying webmasters about new software versions via Webmaster Tools to help protect their sites. Continuing with our effort to provide more useful information to webmasters, we're happy to announce that we'll soon be sending even more notifications to the Message Center. These notifications are meant to alert webmasters of potential issues and provide next steps on how to get their sites fixed and back into Google's search results. If it pertains to a hacking or abuse issue, the notification will point to example URLs exhibiting this type of behavior. These notifications will run in parallel with our existing malware notifications. We've been notifying webmasters of suspected hacking for years, but a recent upgrade to our systems will allow us to notify many more site owners that have been hacked. We hope webmasters will find these notifications useful in making sure their sites are clean and secure, ultimately providing a better user experience for their visitors. In the future, we may extend this effort even further to include other types of vulnerabilities or abuse issues. Just as before, webmasters who have not already signed up for Webmaster Tools may still do so and retrieve previously sent messages within one year of their send date. And if you don't want to miss out on any important messages, remember to use the email forwarding feature to receive these alerts in your inbox. If you have any questions, please feel free to ask in our Webmaster Help Forum or leave your comments below.